Who is the most powerful being in the Tolkien universe? Ian McKellen in The Lord of the Rings: The Return of the King, and Orlando Bloom and Hugo Weaving in The Lord of the Rings: The Fellowship of the Ring. Photo illustration by Juliana Jiménez. Photos courtesy New Line Cinema and New Line Productions. This question originally appeared on Quora, the best answer to any question. Ask a question, get a great answer. Learn from experts and access insider knowledge. You can follow Quora on Twitter,Facebook, and Google Plus. God is the most powerful entity in Tolkien’s Lord of the Rings universe. The Elvish name for him is actually Eru Ilúvatar, meaning “the one, father of all.” So the question becomes: Who is the second-most powerful being? Originally, it was Melkor, “he who arises in might,” the most powerful of the Ainur (or angels). But Melkor became arrogant and saw himself as superior to the other angels, and rebelled against God. Like Satan in our own world, he fell from grace and became the spirit of evil, known as Morgoth (meaning “dark enemy”). Morgoth spent thousands of years corrupting the Earth and making many evil things. But this slowly dispersed his natural power into the fabric of reality, so that he himself became diminished and weakened on a personal level. (This was not something he’d planned or expected.) Eventually, he was weak enough that he could be overthrown and cast out of the universe into the infinite Void. Sauron was originally one of Morgoth’s most powerful and trusted servants. After the overthrow of his master, he set up on his own. Not all the angels rebelled against God. Some of them agreed to enter into the world, to help prepare things for the coming of humans and elves. Fourteen of these angels were respected by the others as more powerful, more wise, and more holy than the rest of them, so they became their leaders. They were given the title Valar, which means “the powerful ones.” (Melkor had originally been counted as one of the Valar, too, until his fall from grace became known.) Each of the Valar had a specific area of interest within creation and attracted followers who shared that interest from among the lesser angels (who became known as the Maiar, meaning “the fair ones”). Manwë and Varda have less raw power than Morgoth, if by power you mean the ability to change and destroy; but they had more authority and wisdom, which is a different sort of power. After the fall and banishment of Morgoth at the end of the First Age, their power is now unchallenged. However, being wise, they do not interfere much in the affairs of mortals, and when they do it’s only in a very subtle and indirect way. When Gandalf makes cryptic hints about how things were “meant to happen” or that something was “not mere chance,” he’s referring to this kind of subtle assistance. Gandalf himself, incidentally, is a personal envoy of Manwë sent to rally the people of Middle-earth to fight Sauron. His job is not to do their fighting for them, however, reflecting the Valar’s hands-off approach. It should also be said that Tolkien did not really think in terms of video game–style levels of power. Power to him was an intangible thing that can take many forms, and is not the same as raw strength or destructive ability. Tulkas, one of the Valar, is the strongest and the best at fighting; but he’s certainly not the most powerful among them, and he readily accepts Manwë’s leadership. Likewise, Morgoth at his height was the most powerful nondivine entity in Arda; but even he was defeated in a fight by Ungoliant, who could only do one thing (engulf and consume things in darkness), but could do it really, really well. To Tolkien, the power to resist, the power to stay true to your goals, the power to inspire other people to follow you, were all equally or more important than the power to win battles or use “magic” to change the world. 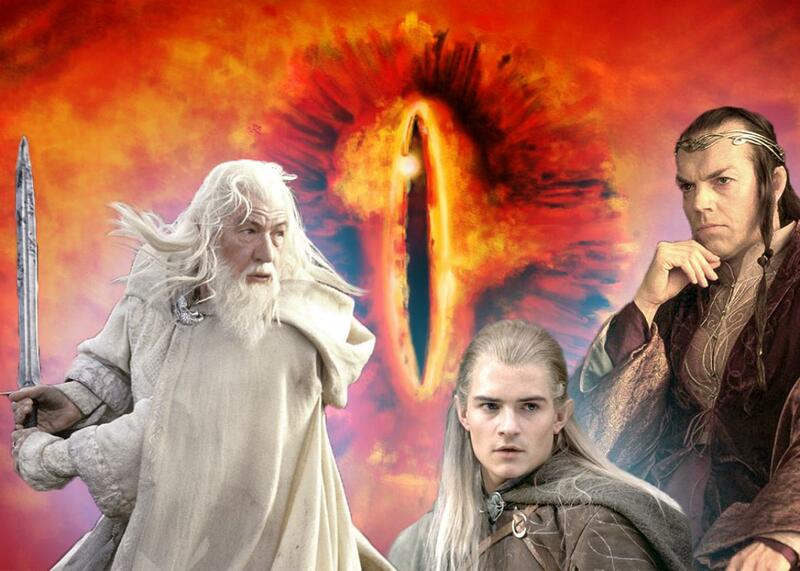 Tolkien’s Middle-earth: What are the Elven Rings of Power? Tolkienian Mythology: Who are the “good” wizards in The Lord of the Rings? The Lord of the Rings: What would the Lord of the Rings series have been like if George RR Martin had written it instead of Tolkien?